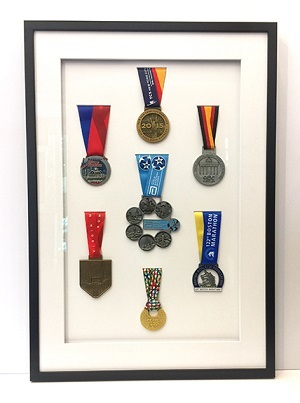 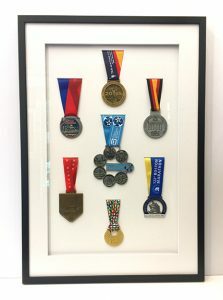 Marathon medals from races all around the world. 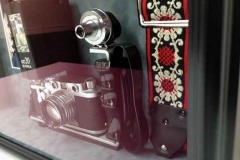 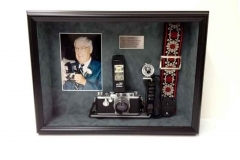 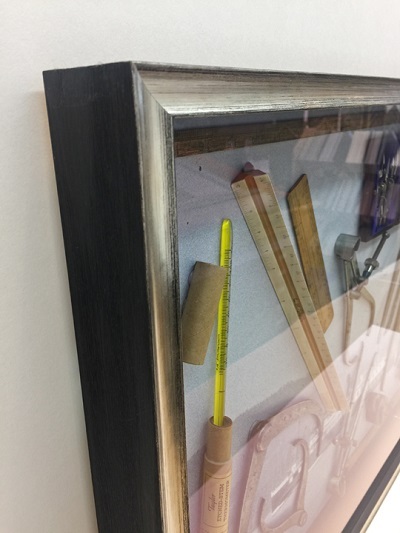 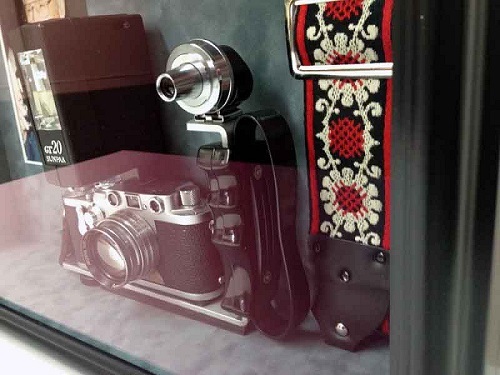 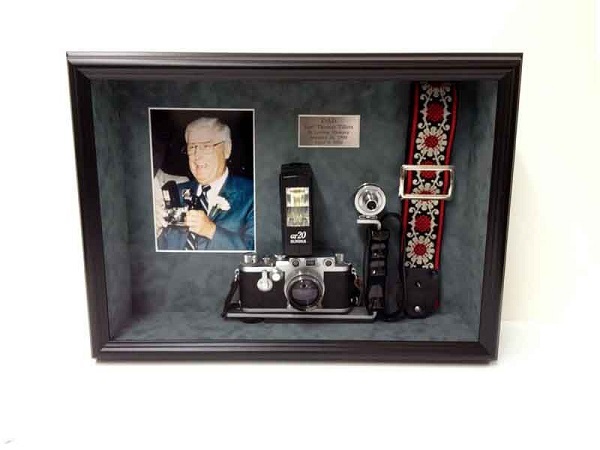 A custom stacked shadow box for this vintage Leica camera and memorabilia. 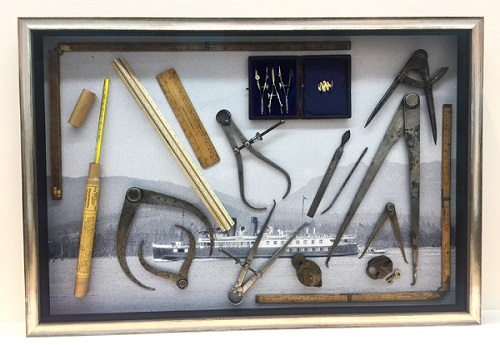 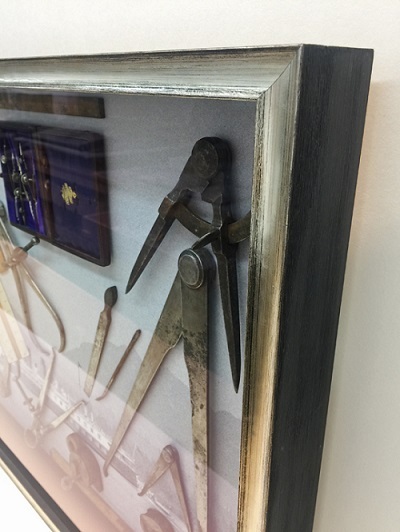 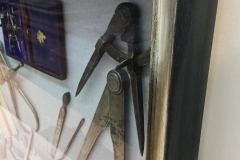 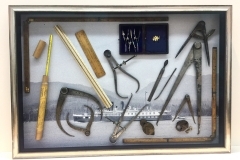 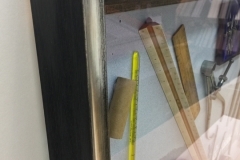 Mariner’s navigation tools from back in the day.